HJ: Unconditional love is your birthright and is totally possible in this life, in this moment… as soon as right now. But the challenge is to find this unconditional love within ourselves. Many of us wrongly believe that love can only be given by others, when in fact it comes from within. Love can be given by others, but ultimately we must learn to find it within ourselves if we wish to experience unconditional happiness, peace, contentment, abundance and joy. This is because these qualities only make themselves permanent in our lives when we cultivate our own self-love. The irony is that when we love ourselves completely, we have abundant love to give and what we give, we receive. Like anything in life, the maxim, ‘as within, so without’ applies. There are two articles below that will help you to understand what unconditional love truly is and begin cultivating it within your life using a variety of means. If you make the effort to read through them both, I promise that you will come out transformed and knowing without a doubt how to begin unconditionally loving yourself. According to humanistic psychology, human beings have an inner need and desire to give and receive high quality love. Love is the glue that holds together human society and without it our lives have little meaning or purpose. 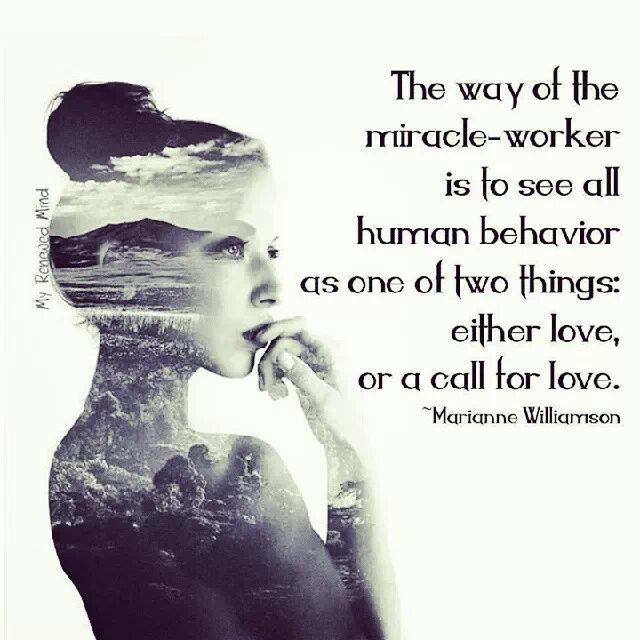 In fact, our need to give high quality love to others drives us towards behaviors that would otherwise be considered insane, such as mother rushing into a raging fire to save her child or a father working night and day at a job he hates in order to provide sustenance for his family. Modern Western society has focused quite a bit of attention on how to attract, possess, and maintain love in one’s own life, but it often misses the main secret of attracting love—that if you give love unconditionally from the heart, you will get love back in abundance from the unlimited supply the universe holds. Before we define what unconditional love is, we should first clarify what love means in the context of this article. Genuine love for another person simply means the continual desire and the act of increasing the level of happiness in another person’s life. It’s important that we understand exactly what unconditional love is so that we can know exactly how to express it completely to ourselves and towards others, as well as fully appreciating it when it is offered to us by others. Unconditional love is the ability to accept, respect, and care for yourself and others without any conditions, limitations or reservations attached to that love. Unconditional love is the practice of giving of love to others without demanding that they perform behaviors that you desire. This kind of love is best portrayed by the love between a mother and her child. Unconditional love has little to do with romance, friendships or relationships and more to do with an abundance of love for yourself which flows out from your body and attracts good things and people into your life like a magnet. When describing unconditional love towards yourself, it means the pure acceptance of everything that is you, including all your flaws and weaknesses. Really this is the basis of unconditional love because love in its true form cannot be shared or given to someone else until you love and accept yourself first. There are no boundaries or limits on love that is unconditional. You are not trying to control the actions or behaviors of the other person, nor do you impose conditions on your love by restricting that love if they behave or don’t behave a certain way. Unconditional love is the ability to want what’s best for others in their pursuit of universal happiness, irregardless of your own opinions and biases of them or their behavior. Unconditional love is an overflow of positive energy that comes from the complete love that you have for yourself so no matter what the other person’s says or does; it will not affect your level of happiness. The act of giving unconditional love to others eliminates the fear of anger and reprisal from other people for any behavior you do. It also facilitates open and honest relationships with other people. In a more spiritual sense, sharing your love unconditionally with the world sends out positive energy which will be returned to you in one form or another to create greatabundance, wealth, and goodness that you deserve in your own life. When you provide unconditional love to others, you are not dependant on others for happiness, but rather you derive your happiness from within. Your energy radiates to those around you and the world gives back to you in abundance. When you give love unconditionally, then you can’t be ever angry at anyone. All human minds need congruency of thought and it’s simply impossible to hate another person if you have made the conscious decision that you are going to love them unconditionally. By giving unconditional love to others, you side-step any tricks, emotional ploys, and unfair negotiating tactics because you have consciously choses to take responsibility for giving them love from own heart despite the behaviors that they exhibit. Those people who try to find their love and happiness in the possessions, places or people they have in their life are destined to be miserable in life because they fail to understand that true happiness can only be found within themselves. Everlasting joy, happiness and love all come from falling in love with yourself. The people, places and things that you attract into your life that make you happy only serve to enhance the love that you already have for yourself. They can never replace that inner love. If you want to practice giving unconditional love, then the first person you must show true love to first is yourself. Love yourself for the person that you are, which includes all your flaws as well as your strengths. To practice unconditional love is simple, yet you must make a conscious decision to act on accordingly. You must first make the conscious decision that no matter what the other person thinks, says or does, you are going to provide them with the same amount of love that you would if they treated you like royalty. More importantly, you make the firm commitment that you are going to provide them with unconditional love freely and without harboring any negative intentions. Unconditionally love yourself first. The first person that you need to show unconditional love to first is yourself. After all, you are married to yourself for the rest of your life, whether you like it or not. Learn to love everything about you because even your flaws make you unique and special. Once you fall in love with yourself, then the world opens up in abundance to your life. Don’t use “if-then” clauses with your love. The use of “if-then” clauses makes the love conditional, even if you only say it inside your own mind. For example, “If you treat me well, then I will show you affection.” Unconditional love exists without any “if-then” statements. Unconditional love is not automatic. Always remember that unconditional love is something that you must decide to give, not something that is automatically given. It requires practice to give love to those that you don’t like and to accept everyone for who they are, regardless of your opinions about them. Don’t give love with expectation in mind. If you expect something back in return for your love, then that makes the love you give conditional in nature. Instead, have the faith to believe that what you put out there in the world will eventually come back to you, but don’t expect it at that very moment to be returned. Repeat it in your mind. If you get upset at yourself or another person, then immediately begin to say over and over in your mind, “I love [Person] unconditionally, no matter what they say or do.” Your mind cannot hate a person and love them at the same time because it is not congruent thinking, so it immediately removes much of the anger and hatred that builds inside of you if you repeat statements of love in your mind. Write it down. If any negative thoughts enter your mind about yourself or another person in your life, then destroy those thoughts with the power of writing. In your journal or on a piece of paper, write 15 things that you love about the other person and after you are done, repeat it out loud. This cancels out your negative thoughts of the person and it sows the seeds of unconditional love for that person in your subconscious mind. When you fall in love with yourself, you give yourself the ultimate power to pick up the pen and begin to write your own book rather than having other people write it for you. You are able to tap into the unlimited potential that is within you. It’s like a spark that ignites your heart and that passion spreads to your mind and your body. Everything in life becomes crystal clear. When you fall in love with yourself, the world opens up to you in abundance. When “You Love Yourself Unconditionally” your whole being is vibrating at a high level, and there is no room for fear, for anxiety, guilt or anyother negative emotion that usually weighs down our humanity and contributes to disease. But you might ask: “What does it mean to love myself unconditionally? A dictionary defines the word “Unconditional” as pure, profound, absolute, with no conditions attached. And “Love” is the most powerful energy in the universe. This “Universal Love” is absolute, with no conditions or restrictions attached. For example, imagine a dark, beautiful night, you look up at the sky and you see the most beautiful stars shining…just for YOU! At that moment, You are the recipient of unconditional love, love without restrictions , the universe loves you just because you exist. However our real life stories don’t happen like that. Some of us come from dysfunctional families and environments that taught us that we are not good enough, we are defective, we don’t measure up to their expectations, or we felt rejected or abandoned as children. Some children did not feel love or protected at all; some of them felt suppressed and diminished which robbed them of their true essence and they forgot who they really were meant to be on this planet. Once they became adults, they forgot their mission and the uniqueness of their message. What we know and have seen in our EFT Practice is that EFT used properly, can heal your heart, heal the emotional pain of your childhood, even in cases of sexual abuse. When you heal your traumatic past, you are in a much better position to love yourself unconditionally and then love others. The good news is that it really does not matter how old you are. Some of our clients are in their 80s, and they appreciate feeling better in their mind, body and soul. We are in including a basic EFT Round so you can feel inspired to begin your own journey toward unconditional love! Note: These videos and tapping scripts are generic in nature and not reflective of an actual EFT session with us. Our Sessions are specifically designed for You, Your Special Needs, Circumstances and Specific Events in Your Life. We help you neutralize the destructive emotions of anger, grief, self-doubt, fear, nervousness, lack of confidence, emotional pain or any other negative emotion or memory that robs you or your joy. Then you are imprinted with positive beliefs and emotions for permanent change and well-being. If you agree to follow this EFT Round, You are agreeing to take full responsibility for your own well-being. Further, These EFT Phrases might trigger your own memories and emotions, write them down and then do EFT focusing on them, until you do not feel an emotional intensity. You deserve peace. Crown of head: I am not perfect, How can I accept myself? Take a slow healing breath in and out and release your beliefs that you are not good enough. Release them from your mind, body and soul. Rate your emotional intensity level o a scale of 0-10, do several rounds until your intensity is down to Zero. Under arm: I am LOVE and I am expressing myself in my own unique way! Take a slow healing breath in and out and relax your mind and body. I am grateful because I know that I came here to express myself in my own unique way and I am doing it! I am grateful because I am fulfilling my own unique mission!